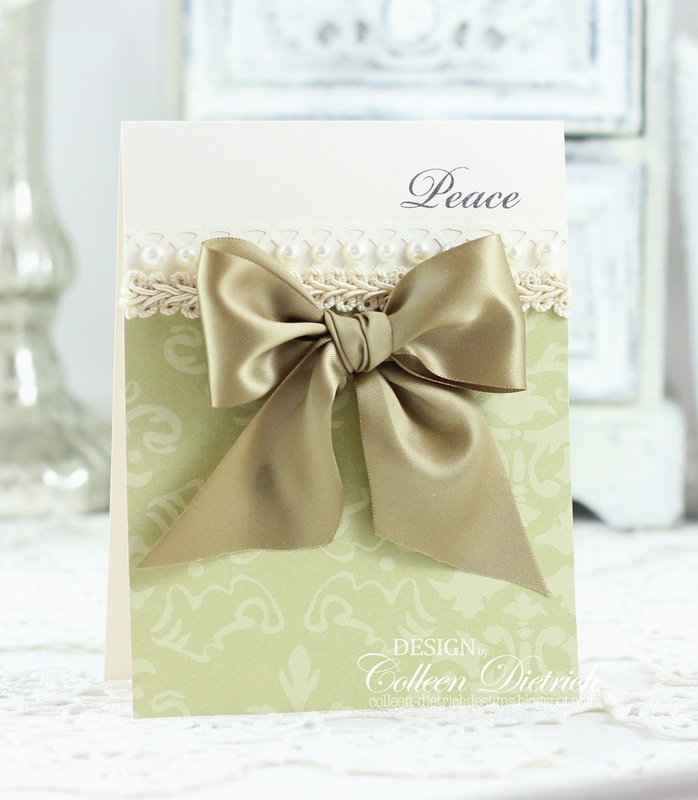 Beautiful elegant card and the bow is perfect! Merry Christmas to you! What a pretty bow!! 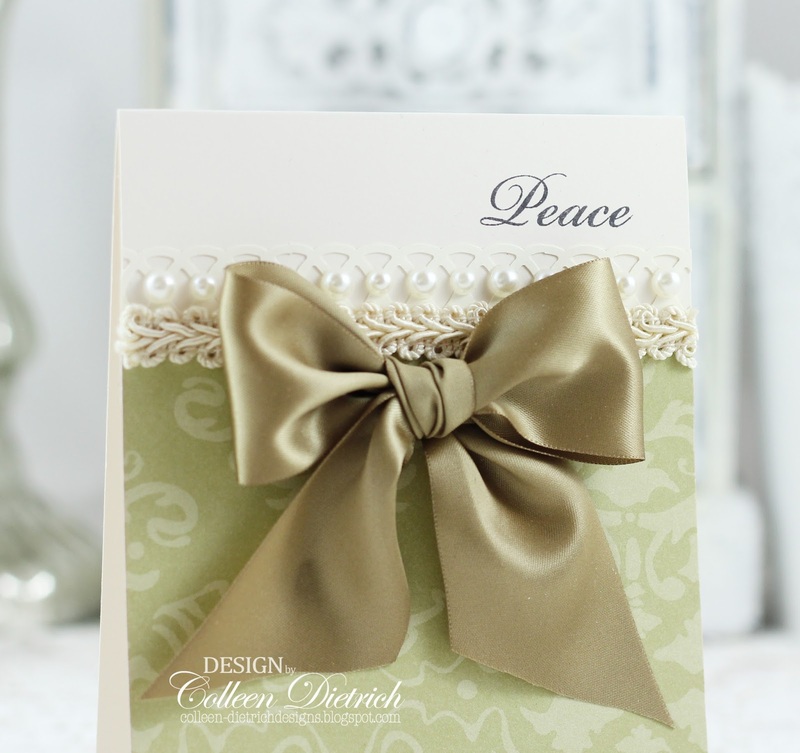 It goes perfectly with your signature pearls!! Yes, the little acts of kindness do add up. In thought, word, and deed, as you go through your day consider the feelings of those around you. A kind word, smile, gesture. It's not so hard when your heart is good. A beautiful card, Colleen. Lovely soft and gentle colors.